Colin Nun is a Canadian artist working with text-based paintings. 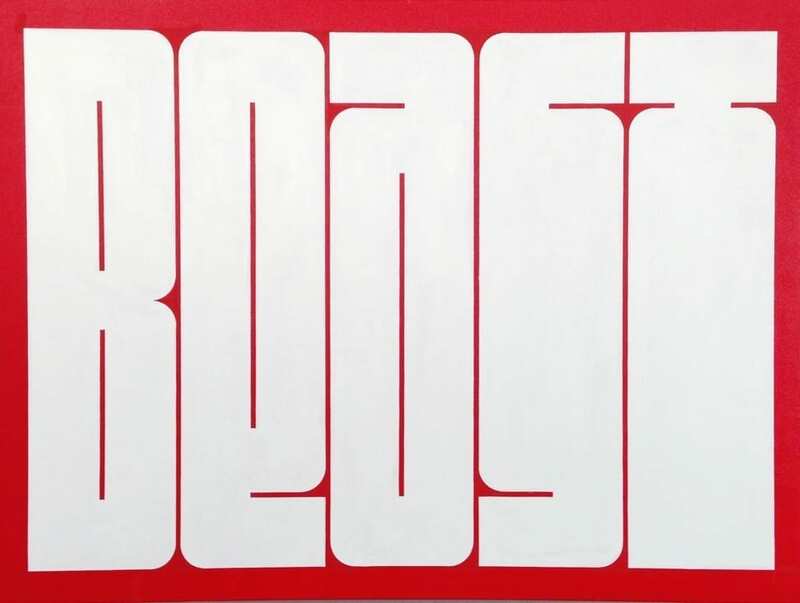 His work consists of carefully constructed typographic motifs deeply rooted in graphic design. 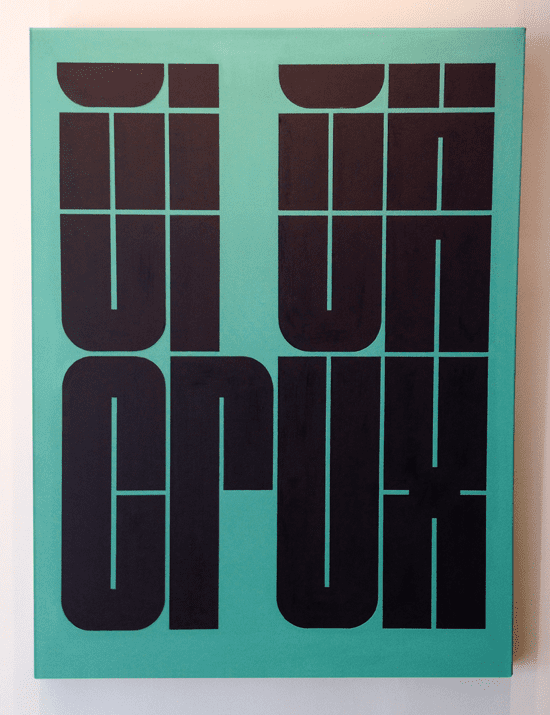 Often his paintings are composed of a single word depicted in flat colour, constructed from his own geometric typefaces. Nun’s primary objective is to paint words that convey their meaning – simply put, to use words as imagery. He challenges how ‘normal’ letters and words are represented and questions what letterforms can become if pushed to their limits. Harnessing basic elements of typography, Nun focuses on line, shape and composition to create tension between the letterforms, an optical effect he calls “visual vibration”. With influences seeded in pop culture, cinema, advertising graphics and ephemera, Nun experiments how language is depicted and how the viewer perceives language. Born Colin Andrew Nun on December 3, 1981 in Welland Ontario, Canada he studied at Niagara College of Applied Arts from 2000 to 2002 then pursued his degree in Halifax, Nova Scotia, studying at NSCAD University in 2003 and OCAD University in Toronto, Ontario, from 2006 to 2009. Nun currently lives and works in his hometown.